Golden Temple To Start Online Donations - Going Mainstream? 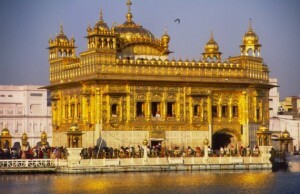 Golden Temple To Start Online Donations – Going Mainstream? It really struck me at the first time, but then when the whole world is online and e-commerce is entering our homes, what stops donationsÂ going online too. Yes, we are talking about temple donations which to my knowledge amounts to a lot of money. The devotees of the Golden Temple Of Amritsar can now make donations to the temple right from their home. HDFC has signed an agreement with Shiromani Gurdwara Parbandhak Committee for offering e-collection through HDFC Bank Payment Gateway. So, now for those devotees who find it difficult to be physically visit the Golden temple can still make donations via the internet. Now, take that for making life easier for the millions of devotees. Come to think, the e-donations will come as god send for the NRI’s who are unable to visit the temple physically but still want to show their gratitude. Golden temple is the one of the holiest sikh shrine and most of the maintenance and upkeep funds come via donations. So, the e-donations might lead to increased donations which is a good thing. Infact, Golden temple is evidently not the only temple where technology has made headway. HDFC itself seems to already provide e-donation facility to over 37 places of worship in India. Money swindling is an awful thing in the name of religion and yet it happens quite a bit.However, a few holy places like Vaishno Devi have really seem drastic improvements in terms of infra,facilities on account of donation money. Even all other temple trust should follow similar trait of donation and overcome paperless economy. Textilesinfomediarydotcom firmly advocate green india. I second your thoughts Vikram :-) I wanted to touch upon the same but did not want to hurt anyone’s religious sentiments.